Set in 19th-century France, the drama tells the story of Jean Valjean (West), a prisoner who breaks his parole and spends the next two decades fleeing from obsessive police inspector and former prison guard Javert (Oyelowo). 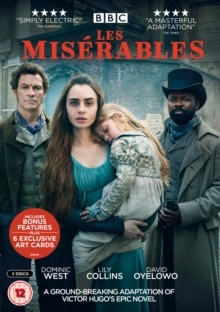 In his quest for personal redemption, Valjean adopts Cosette (Ellie Bamber), daughter of impoverished prostitute Fantine (Collins), and is eventually elected as mayor of Montreuil. But despite the events of the intervening years, can he ever really shake off his past?